Rule number one– Keeping a pool looking great is not rocket science. Just follow several easy steps and you cannot go wrong… 97% of the time anyway. We will cover the 3% chance of a hiccup at the end, but just do what we show you here and your pool will look as sweet as an oasis does after a 6-day desert camel trek. 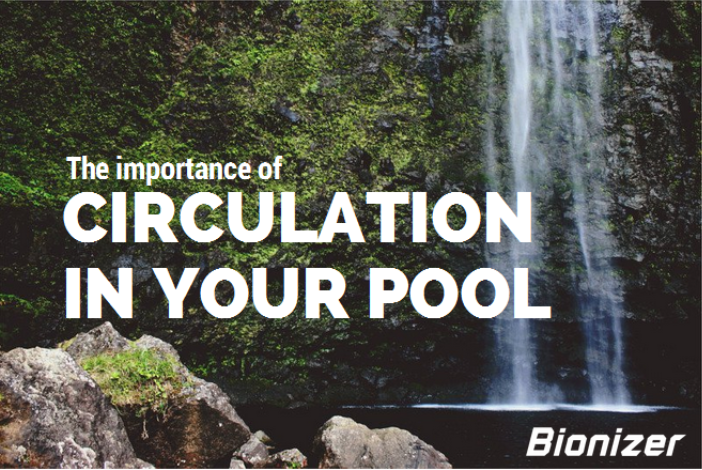 If your pool has decent circulation (water moving freely around the pool with no dead spots) then the rest is easy. A pool with poor water circulation (old or underpowered pump, poorly plumbed system, pipe diameter too small with too many right angles, old or worn filter, filter requires new sand/glass or a new cartridge etc) is never easy to maintain no matter what system you have. 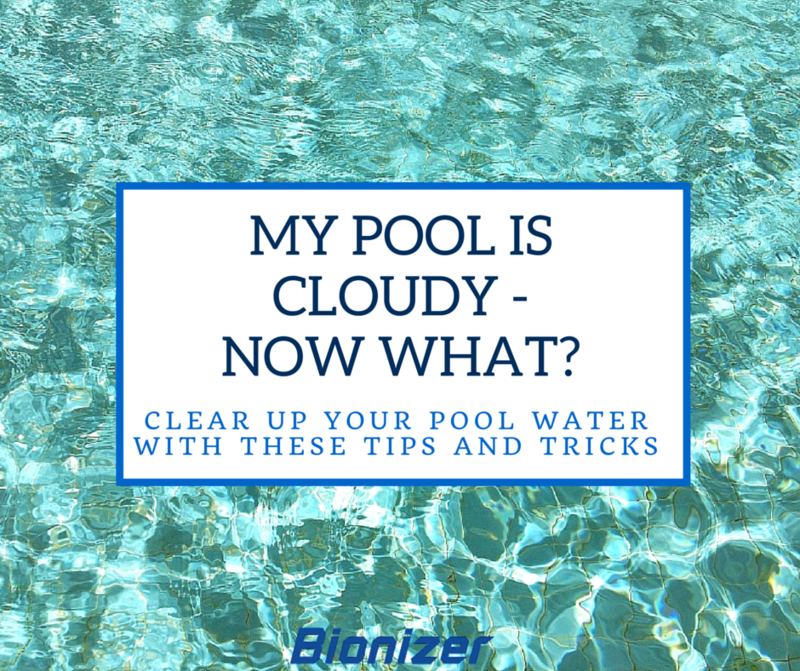 OK…now down to the 3 basic rules or steps that you need to know in the event your pool water appears to be a little dull or cloudy. We suggest doing the copper, pH and total alkalinity tests once per week…once per month (or after adverse weather) for the calcium and phosphates. TIP: Do not add a lot of chemical or product to the water at one time, add smaller amounts more often as this creates a natural equilibrium in the pool water. Remember water is a living thing, it likes to be treated well. Watch how happy it looks when no/low levels of toxic chemicals are in the pool. True! You will notice how it sparkles and creates small vortexes as it circulates. Happy and healthy! Copper/silver pool water ionizers do not oxidize oils and contaminants that can create cloudy or dull water. Chlorine and peroxide are oxidizers and therefore are able to burn off the suntan oils and perspiration that would otherwise cloud the water. 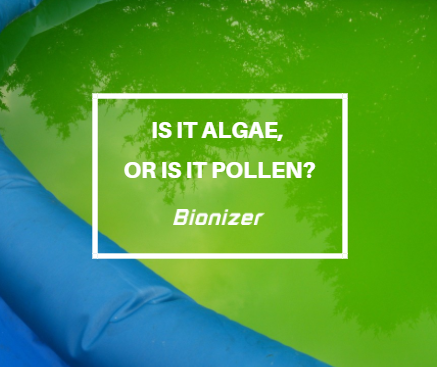 If the pool water hasn’t improved after the water has been rebalanced or it was in balance and still looks cloudy then add an oxidizer. Chlorine free oxidizers such as potassium mono-persulphate are available at pool stores. Even a scoop of a “Nappy San” type of product will oxidize the pool water very well and it will sparkle again. Otherwise a cup or two of liquid chlorine in the evening will restore the appearance of the water by morning if the filter runs for several hours. The sunlight will remove the chlorine rapidly by the next day so the pool water is fresh and clean once again. TDS or total dissolved solids also contribute to unbalanced and dull cloudy water. If the water is balanced and oxidized then adding a polymer based pool water clarifier is the 3rd step. Simply add according to directions on the label and filter for 8 hours or so and backwash the filter or clean the cartridge immediately afterwards. This prevents the residue churning through the filter and returning to the water. Your pool water should be clean and sparkling once more. Time for the heavy flocculent (once again a polymer type) that will “drop out” any oxidative overload to the bottom of the pool. Once it does this you simply vacuum the dropout to “waste” and bingo the water will be clear and clean again. Get a decent flocculent from your pool store. Lo Chlor “Maxi Flocc” is an effective product. Use according to directions and put the filter on re-circulate overnight then turn off allowing the residue to fall to the bottom of the pool where you can vacuum to waste…not back into the filter. If you have a cartridge filter remove the cartridge until after the residue has been vacuumed away. 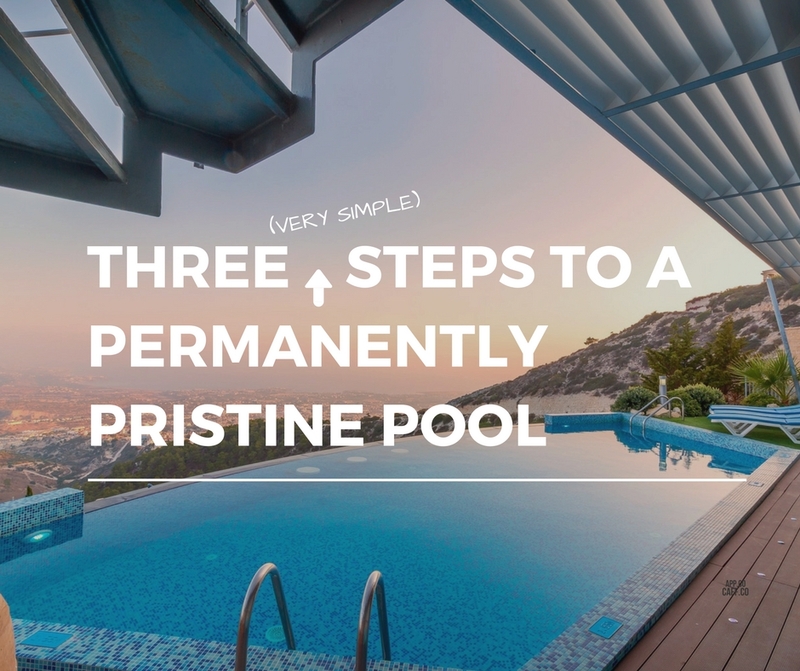 Finally, if these steps have still failed to return the pool water to its sparkling best the issue lays with your filter… no ifs or buts. Your filter in most cases will simply require a sand/glass or cartridge change. Boom as soon as this is done the stress is gone! A sparkling pool again. Wow. It is almost unbelievable after the four-step process that the real issue is/was the filter. Trouble is you need to take the first three steps first as these will sort out 97% of cloudy pool water issues. Then do heavy Flocculent… then the filter. There is nothing outside of these steps. It cannot be anything else providing the circulation and water movement are efficient. Sand or cartridge change doesn’t do it? You have still got a filter problem. Check that the seals and laterals are all OK and even check the filter barrel. It could be warped or too old meaning new filter. There it is in plain English. These 3 steps fix cloudy pool water 97% of the time.